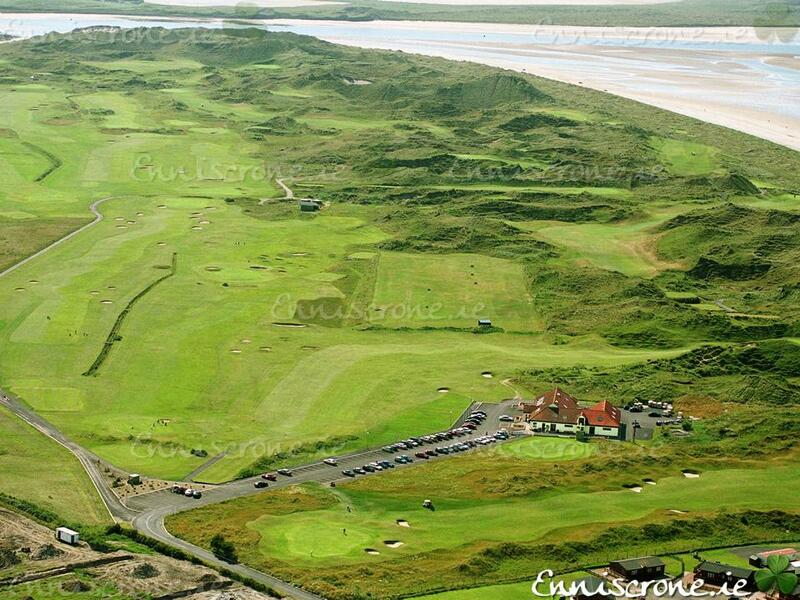 Enniscrone Golf Club is without question, one of Ireland's finest links golf courses. Set in the scenic splendor of Enniscrone's sand dunes and breathtaking views overlooking Killala Bay. As a championship venue, Enniscrone Golf Club has hosted the Men's and Ladies Irish Close and the West of Ireland Championship. Practice area and putting green, superb greens, club, caddy and buggy hire available. Full bar and catering facilities available. Originally designed by the great Eddie Hackett, Donald Steele designed the additional six new holes weaving a path through the dunes. 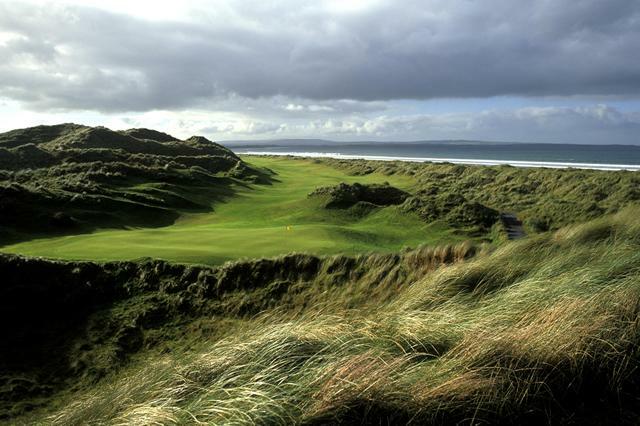 If you are looking for a challenge, Enniscrone Golf Club will not disappoint you. Enniscrone Golf Club is part of the North West Ireland group of 11 golf clubs that scooped the prestigious European Golf Destination of the Year 2011 prize. The award was secured despite opposition from some of the greatest clubs in the world including St Andrew’s in Scotland, but even that great course had to give way to Enniscrone and their partners. Apart from the world-renowned championship course there is also the splendid 9-hole Scurmore course to be enjoyed by lovers of the ancient game. The 3rd Charlie McGoldrick Cup will take place at Enniscrone Golf Club on Friday 29th & Saturday 30th August 2014. Charlie was the PGA Professional at Enniscrone Golf Club for 21 years, until his early retirement due to ill health in March 2011. He sadly passed away in August of 2011.Enniscrone GC This is the third year of The Charlie McGoldrick Cup and it has proved a very successful event, with people playing in it from all over Ireland and beyond. The format is unique in that it can be won by a Lady, Gent or Junior Golfer and they can be either a member or visitor, with the best score over the two days of the competition to count. So that means if a competitor plays on Friday then this is the score that will be accepted to win the Cup, if a competitor plays both days then the Friday score will be accepted for the Cup but the Saturday score will be eligible for the Saturday competition as there will be prizes available for both. I, for one and I’m sure I won’t be in the minority here, will try to play both days! The competition will be held on Friday 29th & Saturday 30th August 2014 and the entry fee is a mere €30 per person for visitors! The timesheet is available by calling Enniscrone Golf Club on 096-36297.